Greg Wallace is a native of West Virginia. He has been practicing law in NC since 1973. A graduate of the UNC law school at Chapel Hill, he taught at the U.S. Naval Academy and as an Adjunct Professor of Law at Campbell University. He served as an Assistant Attorney General for North Carolina and was Clerk of the Supreme Court of NC for ten years before joining the private sector. 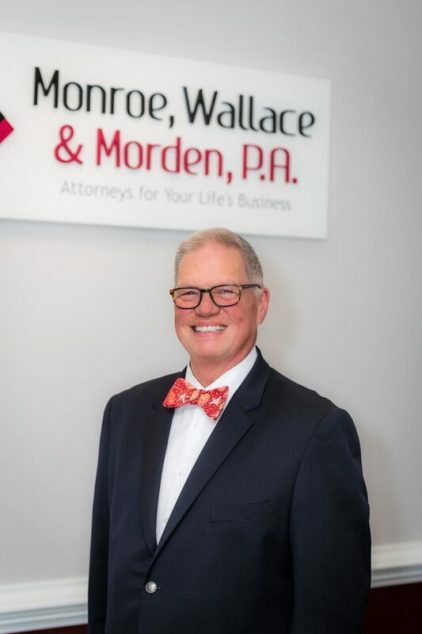 Greg’s practice focuses on Elder Law including planning for long-term care and financing, physical or mental incapacity, advance directives, guardianships, and administration and management of trusts and estates. Greg is on the board of Alzheimers North Carolina, Inc., the United Methodist Retirement Homes, Inc., and Resources for Seniors, Inc., and is active in his church.